Huawei's Honor brand has been churning out some impressive smartphones since its conception in the latter part of 2014. 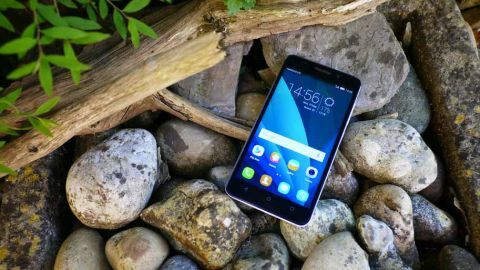 Devices such as the powerful Honor 6 and the super affordable Honor Holly have certainly caused a stir in Western markets, accentuating the rise of Chinese manufacturers. While much of the recent attention has been focused on the new flagship Honor 6 Plus, the firm's Honor 4X looks to deliver a similar big-screen experience for those who are a little more budget conscious. With the exception of the Honor 6 Plus, Honor smartphones are only officially available to purchase online – a sales strategy akin to that used by Xiaomi and OnePlus. The lack of brick-and-mortar stores in particular saves the company vasts amounts of money and partly explains how the firm can offer their smartphones at such competitive prices. Unlike the aforementioned Chinese duo, Honor do not use inconvenient flash sales or invite systems and sell directly via Amazon UK. The Honor 4X is available for around £150, $245 (roughly AU$295) and when looking at the overall specs on paper, the 4X certainly seems like a real bargain. A screen to body ratio of 75% and good outdoor visibility makes for an immersive experience wherever you are. Despite there being plenty of worthy competitors in the same price bracket, such as the Moto G (2014) and Sony Xperia M2 Aqua, there's currently a chronic shortage of competent budget phablets and this is a void that Honor are looking to fill with the 4X. Living up to its phablet billing, the Honor 4X features a 5.5-inch 720P display and houses Huawei's powerful 64-bit Hisilicon Kirin 620 octa-core processor, backed up by 2GB RAM. Dual-SIM 4G LTE connectivity is also present and the inclusion of both a microSD card slot and a 3000mAh battery will be welcomed by many power users. While the Honor 4x may not deliver anything exceptional in the looks department, it's far from an ugly device. The overall build feels incredibly substantial for a budget offering, partly thanks to the 170g worth of heft and textured plastic rear. Stock Lollipop capacitive navigation keys hint at an imminent Android 5.0 update. Around the front things are rather restrained, with a recessed black earpiece flanked by proximity and ambient light sensors, an LED notification light and a 5MP front snapper. Glistening Lollipop-style capacitive navigation keys are present and are certainly the most striking features on the face of the Honor 4X. Unfortunately they're not backlit and thus you may find yourself fumbling around in the dark trying to hit the correct button from time to time. The bottom edge, beneath the navigation keys, is home to a slightly off-centre microUSB port, a single microphone and a speaker that is very similar in style to the one found on the iPhone 6. While a resolution of only 1,280 x 720 doesn't sound particularly high when stretched across a 5.5-inch screen, the IPS display on the Honor 4X is a strong performer. Colours are vivid with text and images looking fairly crisp. With a thickness of 8.65mm, the Honor 4X is only marginally chunkier than many high-end phablets. Even with a pixel density of just 267 PPI, individual pixels are not distinctly noticeable when viewing from a normal distance, and viewing angles are excellent. A comprehensive brightness range results in great overall legibility regardless of the lighting conditions, and the auto brightness feature is pleasantly responsive. Covering the face of the Honor 4X is a factory-applied screen protector, partly to compensate for the lack of Corning Gorilla Glass. Yes, it is a fingerprint magnet, but in everyday use you'll barely notice it and it's certainly not a deal-breaker. The left-hand side of the Honor 4X is completely clean, with the volume rocker and power key both taking up positions on the right edge. Despite the buttons not featuring a metal finish, like those found on flagships such as the HTC One M9 and Samsung Galaxy S6, there's a decent amount of tactile feedback. They also feel considerably sturdier than the keys on other budget devices such as the Moto G (2014). Thanks to the aforementioned 75% screen-to-body ratio, hitting the power and volume keys is a straightforward affair. However, reaching the top of the screen, to access the notification bar for example, is a little more of a stretch if your hands are on the smaller side. A 3.5mm headphone jack and secondary microphone grace the top edge. Honor did a great job with the rear of the 4X, making it removable without compromising the overall build quality. The 13MP camera with single LED flash sits flush in the top left, with the Honor branding clearly displayed below. Much needed grip is provided via the textured rear, and the effect results in a sleeker looking finish than the majority of other budget smartphones. What impressed me most was the rigidity and quality of the Honor 4X's removable rear, which exhibits very little flexing or creaking. Unlike the glossy plastic used on the back of the Honor Holly, the rear repels most fingerprints and smudges, keeping the device looking fresh. A grippy textured back and great build quality result in a substantial in-hand feel. Underneath the removable rear panel you get access to two 4G LTE microSIM slots and a microSD slot. Considering that there's only 8GB of internal storage I'd highly recommend using a microSD card to expand the storage further, up to the maximum 32GB, if possible. So far Honor has been pretty reserved in regards to colour options for their devices, with only black or white options available. The 4X follows suit and both colour variants are available for the same price.